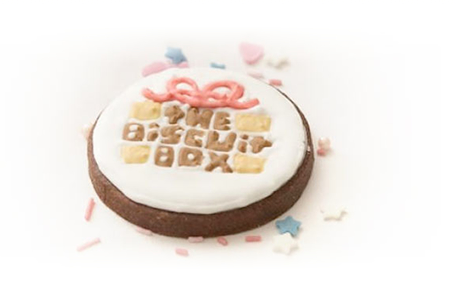 Click Here to sign up for our Newsletter for all the latest news & products from Biscuit Box. The biscuits that Jo baked for our clients were amazing. The detail was brilliant and they were some of the tastiest chocolate biscuits I've ever eaten. We'll definitely be using The Biscuit Box again. Just wanted to say thank you ever so much for the biscuits! They were fabulous and everyone loved them! I received great communication from you which is sometimes missed in larger companies.. The ease of the ordering and the friendliness of you made this whole journey an easy one. Will definitely recommend you to friends and work colleagues. Here at the Biscuit Box we believe passionately in creating not just beautiful biscuits but delicious beautiful biscuits. 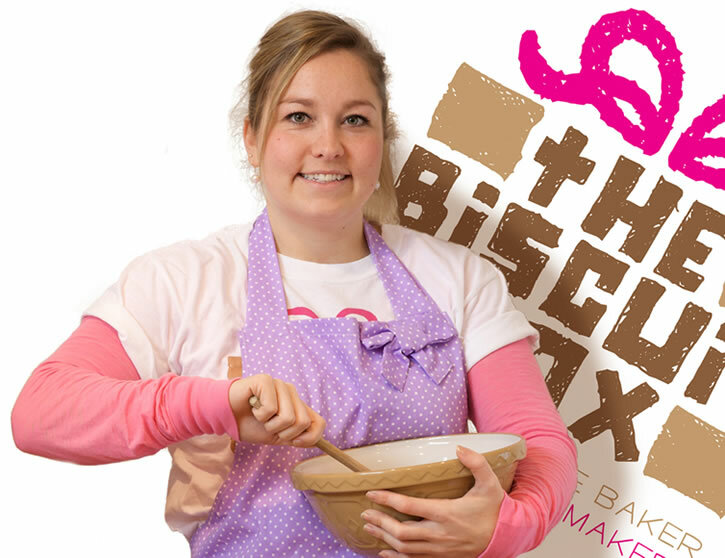 The Biscuit Box was established in November 2009 on the picturesque Channel Isle of Guernsey by Jo Griffiths. After studying graphic design she now uses her creativity to ice the biscuits and think up new and inventive ways they can be used. Jo tried over 100 recipes until she discovered a biscuit with a super chocolatey taste that held its shape! The Biscuit Box is run from her island home in the Channel Island of Guernsey and distributed around the world. We use only the finest ingredients combined using tried and tested baking techniques and take immense pride in the quality of the design of our product whether it be for our beautifully packaged collections or bespoke creations for corporate and personal events. If you want to know more about Biscuit Box or talk about bespoke creations just click here to get in contact. Biscuits: flour, butter, caster sugar, fair-trade cocoa, free-range egg, golden syrup, vanilla. Some biscuits may have sparkly bits and bobs which may contain: Sugar, Wheat startch, wheat glucose syrup, peanut oil hydrogenated, anthocyanins, beetroot red, curcumin, glazing agent beeswax, palm oil, maize starch, E553b, Vanilla, natural colours, carmine, Lutein, copper, chlorophyllin, spirulina concentrate, E171, E172, soy leithin, salt, confectioners glaze, carnuba wax, dextrin, riboflvin, corn startch, rice flour, cotton seed, soybean, cellulose gum, carrageenan, gum tragacanth & gum arabic. While our biscuits do not contain nuts they are made in a kitchen that handles them regularly, and some of our sprinkles and sparkles may contain hydrogenated peanut oil. All our biscuits are baked freshly when you order them, they are best enjoyed within a month. Keep in a cool dry place out of direct sunlight.